Maple Tree Restaurant is serving great food Monday through Sunday from 7am to 3pm. We are located in the old south side Mary's Family Restaurant at 2106 South Oneida Street at the corner of South Oneida Street and East Murray Avenue in Appleton, WI. Maple Tree Restaurant's menu offers light breakfasts to the hearty fulfilling multi-course breakfast to get your mornings started. A family-style menu catering to the health conscience patrons to fans of big burgers and fries for the hearty appetites. 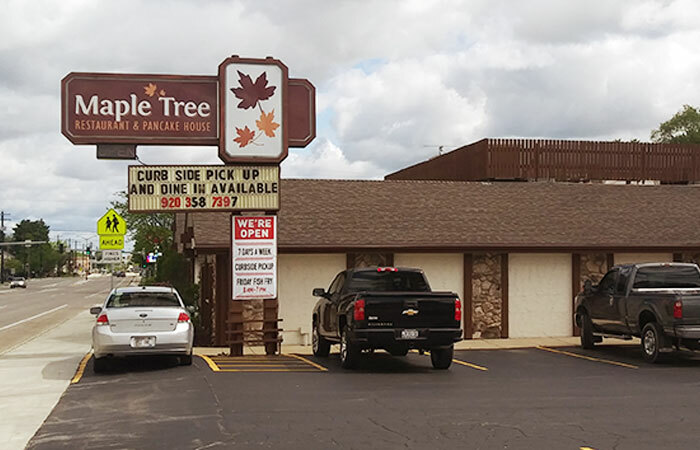 The Maple Tree Restaurant & Pancake House is in the old Mary's Family Restaurant on South Oneida in Appleton, WI. Come on in and try our family style menu at the NEW south side Maple Tree Restaurant & Pancake House.